less than a mile from downtown Tryon. 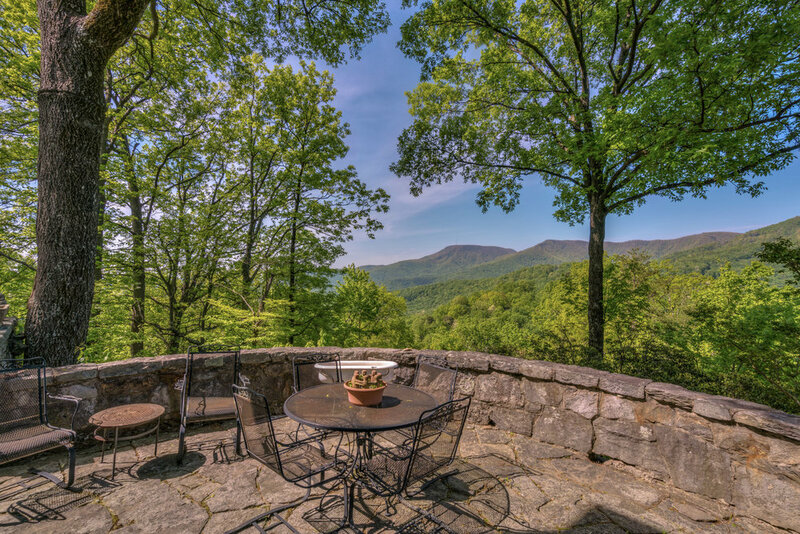 Located, as it’s name would imply, overlooking Tryon from the top of Piney Mountain, this remarkable home of stone and tile has captured the imaginations and memories of generations. Top O’Piney is now available for the next generation. 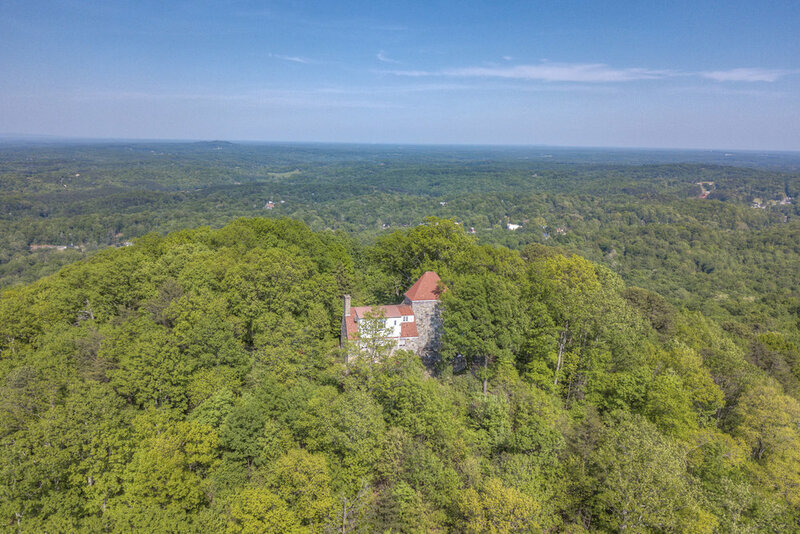 This historic and truly unique home sits on 11.5 wooded acres at the top of Piney Mountain overlooking the Town of Tryon. 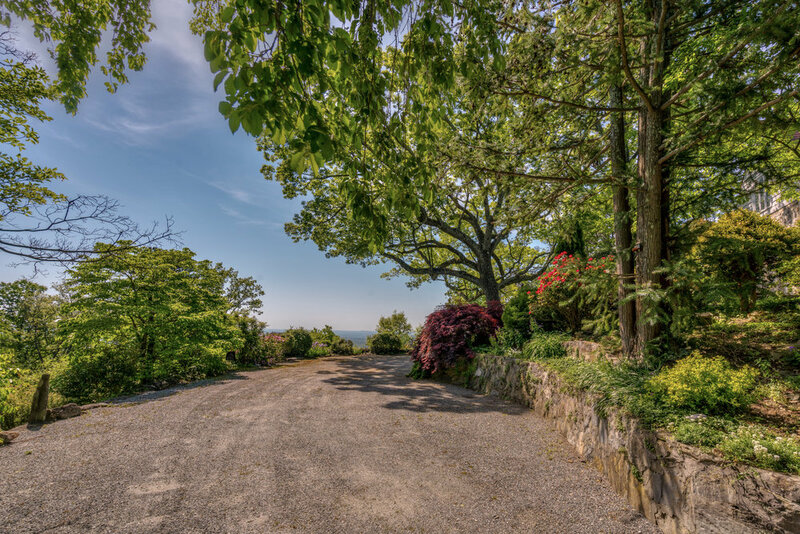 This remarkable stone house is favored with 360º views of two states and a half dozen counties. The Main House has more than 3,000 sq ft of finished space. The tiled entry foyer opens onto the dining room, great room, kitchen and a half-bath for guests. To the right of the entry door is the Great Room with it’s tall ceilings and oak floors. At the far end, a hand-carved mantle over its large stone fireplace. An exterior door from the Great Room opens to the outside terrace. The room is filled with windows looking West toward Melrose and Hogback Mountains and east to Tryon. Supporting the high ceilings of the Great Room are beams capped with grape leaf details carved by the fabled Tryon Toymakers - also responsible for carving the fireplace mantle. A Dining Room sits off the entry foyer with it’s own fireplace and door to the terrace. 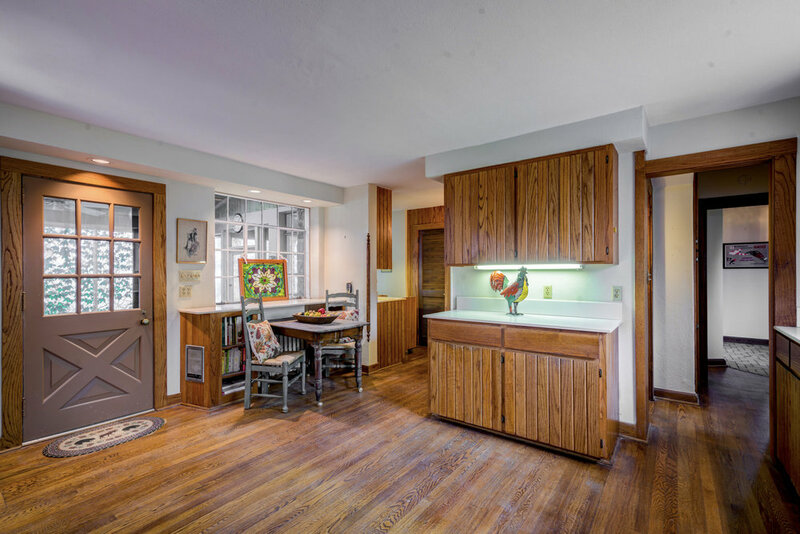 The spacious and open kitchen has oak floors and cabinets and doors to two covered porches. The passageway leading to the dining room holds a modest bar with its own sink and closet, ample china storage, a linen press. Up the curved stairs, you’ll find an enormous master suite including a sitting room and two full baths. 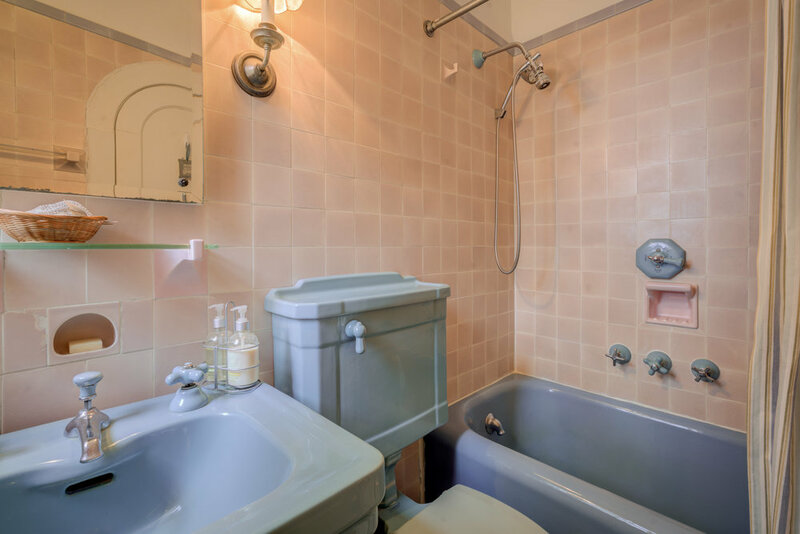 At the other end of the hallway, your guests will enjoy a comfortable Guest Bedroom with its own full, ensuite bathroom. A large stone terrace wraps around the south and west sides of the house offering plenty of space for barbeques, family dinners or a sundowner cocktail while you wait for the sun to drop behind Melrose Mountain. The grounds are landscaped with stone walkways and seating areas and filled with mature nut and fruit trees, roses, camellias, azaleas, blueberry bushes and other native species. A full basement and one-car garage offer plenty of storage and convenience. Down the driveway or a stone path, just below the Main House sits the Guest House built in 2013 with a small apartment and kitchenette over a four-car garage. Top O’Piney was built in 1928 by Prentice and Nora Luckey. Mr Luckey was an importer/exporter of fine jewelry in New York City. The architect was Laurence Doubleday, a relative of Abner Doubleday, the Civil War general and purported inventor of Baseball. Laurence was an architect with the firm of Shreve and Lamb, the designers of the Empire State Building. His family has a long and storied history with Tryon and Laurence was responsible for designing a number of the area’s most prestigious homes. Laurence’s grandfather purchased Piney Mountain after the Civil War. Doubleday Road is at the base of the mountain where you can still find remnants of the terraced grape vineyards that covered most of the mountain in the early 20th Century. Tryon Grapes were famous the world over and were even featured on the menu at the Waldorf Astoria. The beams and mantle in the Great Room were hand-carved with grape leaf motifs by artisans trained at the Biltmore House in Asheville. Granite for the Top O’Piney came from a quarry at the bottom of the mountain. The Luckeys sold Top O’Piney and returned to New York during the Great Depression where Mr Lucky headed Cartier Jewelers. Only five other families have owned Top O’Piney since it was built. Living it up in Tryon. historic, hospitable, horsey and artsy. The quaint Village of Tryon is located on the first rise of the Blue Ridge Mountains. Tryon is known for its wonderful people, outdoor activities, mild climate, small town shops, great restaurants, a rich equestrian tradition and artistic history. Additionally, Tryon is widely known for a unique weather phenomenon known as the “thermal belt” or the “isothermal belt.” In short, winters are warmer and summers are often cooler than surrounding areas. Conveniently positioned between the cities (and airports) of Asheville, Charlotte and Greenville, and only a 3.5 hour drive to Charleston or Atlanta, Tryon has access to all things urbane while keeping its small town lifestyle. Your new home awaits. Let’s get started.